Shirley Sotloff, the mother of American journalist Steven Sotloff held by ISIS militants, has made an emotional video appeal for his release. Shirley Sotloff addressed her plea directly to Abu Bakr al-Baghdadi, the leader of the militant group. Steven Joel Sotloff, who vanished last year in Syria, appeared in a video showing the killing of US journalist James Foley. The militant on the video said his life depended on the next move of President Barack Obama. The US has recently carried out dozens of air strikes against IS targets in Iraq. 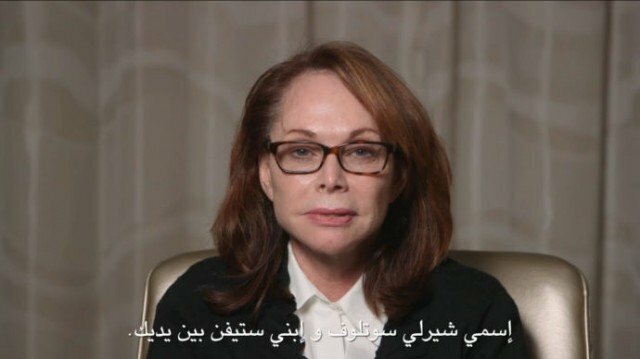 In her video message, Shirley Sotloff described her son as a journalist who had travelled to the Middle East to cover the “suffering of Muslims under the hands of tyrants”. “Steven has no control over the actions of the US government. He’s an innocent journalist. I’ve always learned that you, the caliph, can grant amnesty. I ask you to please release my child,” said Shirley Sotloff. Steven Sotloff’s case was not widely reported after his mother was told by ISIS militants he would be killed if she publicized it. However, last week, Steven Sotloff appeared at the end of an ISIS video showing the killing of James Foley.